Juba – Thousands now have access to HIV/AIDS counselling, testing, and treatment in South Sudan since the International Organization for Migration (IOM) completed the roll out of comprehensive services at the Bentiu, Malakal and Wau Protection of Civilian (PoC) sites in October 2017, benefiting an estimated population of 171,000 people, as well as the host community. In 2016, HIV/AIDS and tuberculosis were the leading causes of mortality in the PoC sites, where people are often unable to access health facilities outside the sites due to protection concerns or destruction of public infrastructure. “The expansion of services is a crucial development in South Sudan, where internally displaced persons, such as those living in the PoC sites, are among key populations that are considered to be at higher-risk of contracting HIV/AIDS,” explained Salma Taher, IOM Global Fund Project Officer. Since 2014, IOM has been providing HIV/AIDS services to pregnant mothers at the PoC sites through Prevention of Mother-to-Child Transmission of HIV (PMTCT) programme. Through the advocacy of IOM and the UN Development Fund, the Global Fund to Fight AIDS, Tuberculous and Malaria expanded funding to enable the start-up and roll out of services for the general population visiting the clinics in the PoC sites, not only pregnant mothers. Since the roll out began in July, IOM has tested 213 people, with 16 testing positive and enrolling in antiretroviral treatment. With timely diagnosis and initiation of antiretroviral medication, the life expectancy of HIV-positive patients has been proven to improve substantially – 10 years for men and 9 years for women, as evidenced in a recent analysis of cohort studies. A core component to comprehensive services is awareness raising and sensitization to both encourage testing and destigmatize the disease among the displaced population. Through the Global Fund support, IOM has trained over 450 peer counselors across the country, including 51 at the Bentiu and Malakal PoC sites. 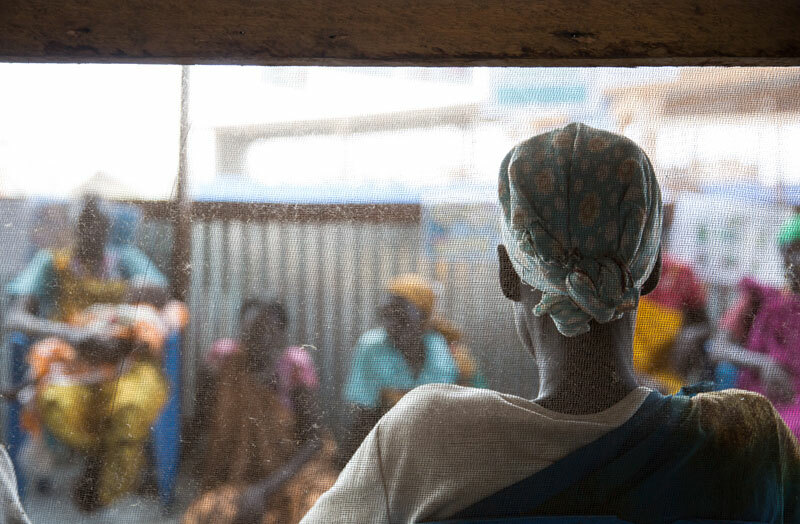 Martha (name changed to protect her identity) and her husband are both HIV-positive and enrolled in antiretroviral treatment at the Bentiu PoC site. When Martha first arrived at the site in 2014, she was pregnant and tested positive for HIV. She immediately enrolled in the PMTCT programme and her child, who is now three years old, is HIV-free. Martha is an active member of PMTCT support groups and was trained as a peer counselor. With the knowledge and confidence she gained in these programmes, she was able to convince her husband to pursue treatment when he, too, tested positive for the disease. The programme is complemented with services from IOM’s mental health and psychosocial support team, which provides peer support through family support groups, counseling for people living with HIV/AIDS and those affected by gender-based violence. The expansion of services is funded through the Global Fund to Fight AIDS, Tuberculosis and Malaria with the support of the UN Development Fund. Migration health and psychosocial support services are funded by the USAID Office of US Foreign Disaster Assistance (OFDA), the Government of Japan, the UK Department for International Development (DFID), the Government of the Republic of Korea, and the Government of Canada. An HIV support group meets in the Bentiu PoC site. Photo: Amanda Nero / UN Migration Agency (IOM) 2017.